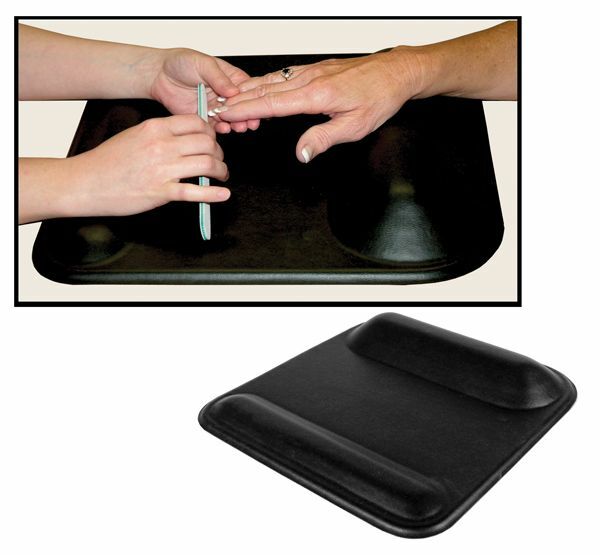 The soft, lightweight, polyurethane "COMFORT ZONE for NAILS" provides maximum comfort for you and your client. Measures 14 1/4" x 15 1/4" ... wrist-support for client 1 7/8" high ... wrist-support for the technician is 7/8" high. The Comfort Zone for nails has an elastomer surface that is puncture and wear resistant. Black only, in stock for for immediate shipment.